Lina is a Partner with the Corporate Real Estate Practice in Rajah & Tann LLP. Her area of practice includes corporate and retail real estate acquisitions and divestments, financing, and acting for landlords and for tenants in leasing matters. 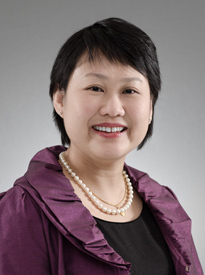 In addition to her private practice experience, Lina has worked for several years in the legal department of Singapore's public housing authority.